We don't want to disappear. We want to be found. Something terrible happened in her basement. Haley can feel it. Four girls went missing several years ago, and the police never solved the case. But Haley knows the missing girls were murdered. How else can she explain the hostile presence in her house? The ghostly girls need something from her. And unless Haley can figure out what they want . . . she might be next. 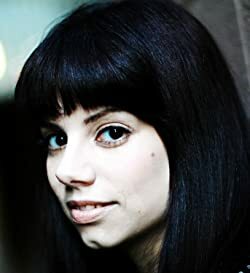 AUTHOR INFO: Demitria Lunetta is the author of Bad Blood, In the After, and In the End. Like Haley, she loves Chicago and deep-dish pizza. Unlike Haley, she also loves Wisconsin and creepy old houses.